Will Hurley was an attractive, charming, and impressive student at Dublin's elite St. John's College -- and Ireland's most prolific serial killer. Having stalked his five young victims, he drowned them in the muddy waters of the Grand Canal. Sentenced to life imprisonment when he was just nineteen, Will is locked away in the city's Central Psychiatric Hospital. Freshman Alison Smith moved to the Big Smoke to enroll in St. John's and soon fell hard for Will Hurley. 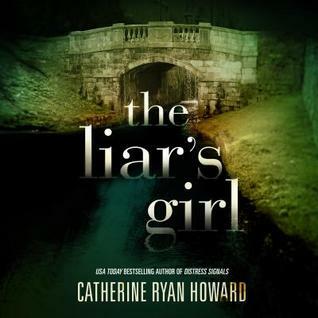 Her world bloomed...and then imploded when Liz, her best friend, became the latest victim of the Canal Killer -- and the Canal Killer turned out to be the boy who'd been sleeping in her bed. Alison fled to the Netherlands and, in ten years, has never once looked back. When a young woman's body is found in the Grand Canal, Garda detectives visit Will to see if he can assist them in solving what looks like a copycat killing. Instead, Will tells them he has something new to confess -- but there's only one person he's prepared to confess it to. Howard has, once again, hooked me! Allison is devastated when her best friend, Liz, is murdered. Her boyfriend, Will, is not only convicted of the crime but of several other murders in the same area where female college students have been dumped in the Grand Canal in Dublin. With the serial killer locked away in a psychiatric hospital, all is quiet...at least for a while. 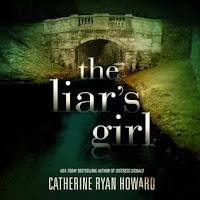 When the body of another female college student is found in the Grand Canal a decade later, Will is questioned and the police wonder whether he worked with a partner all those years ago or whether this is a copycat killer. The police contact Allison, and ask if she would visit Will in the hopes that he will open up to her. Will claims that there is no copycat, but that the one responsible for the recent murders and the ones all those years ago is one and the same. Allison agrees to help Will prove his innocence. The book is mostly told from two points of view -- Allison and Will -- in a dual timeline (then and now). Periodically, there is a third point of view from the killer. I really enjoyed Howard's new mystery. There was a lot of suspense, and the narratives told from the killer's point of view were so creepy and gave me the heebie-jeebies! I was blindsided by the twist, and I love it when an author can do that to me! 4 stars!! It was really good, and you should put it on your TBR if you enjoy mysteries. Thanks again to Blackstone Audio for the opportunity to review this audiobook.